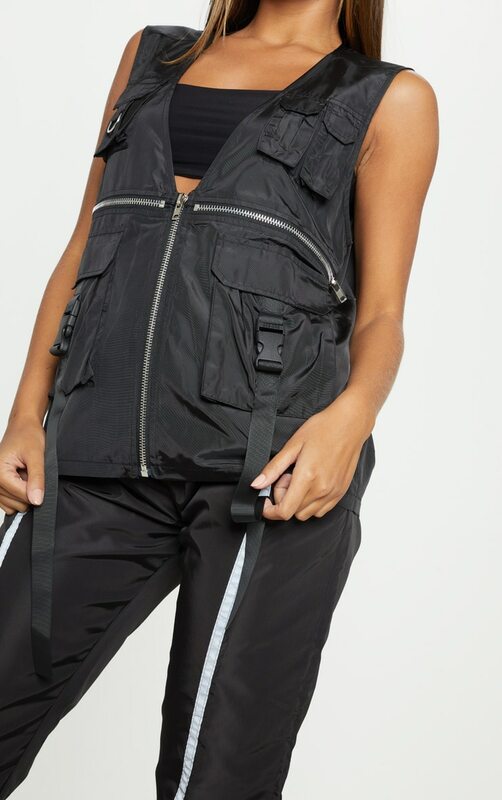 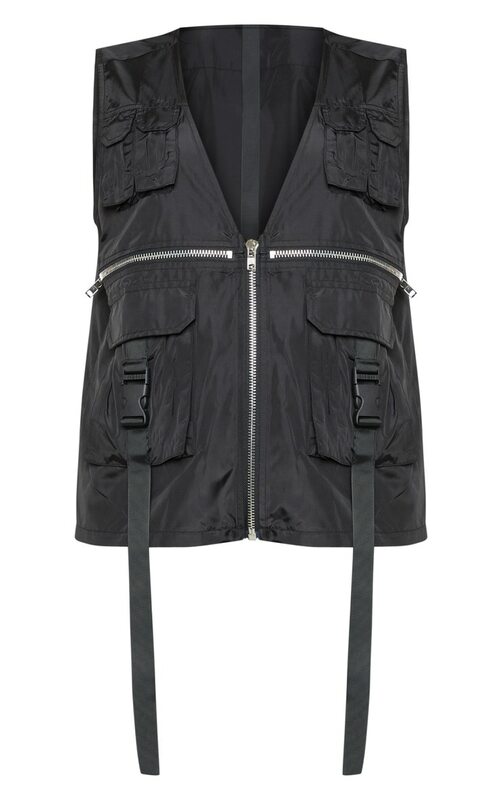 The utility trend is taking over this season and we are obsessing over this vest. 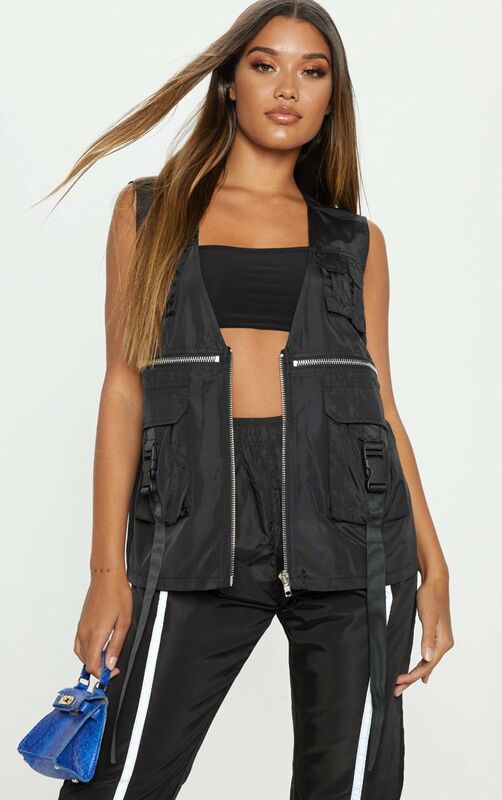 Featuring a black hue material, an oversized fit with a zip front and a utility design, we are obsessed. 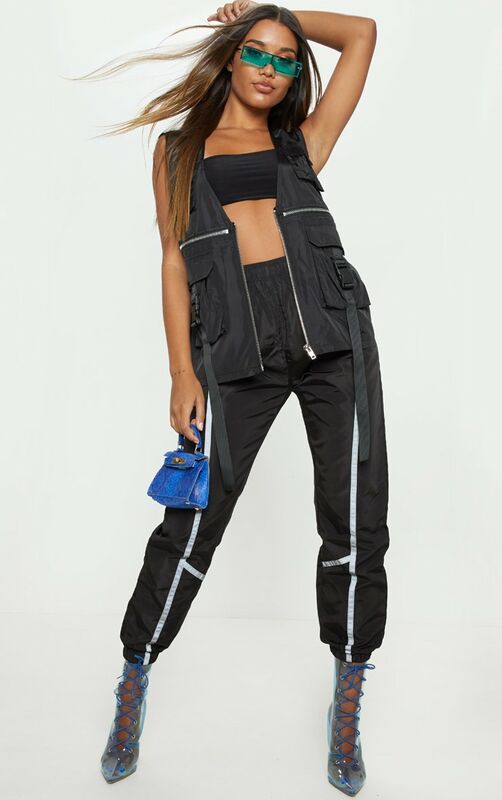 Keep the look chilled and team it with a black crop top and some utility joggers for a look we're loving.